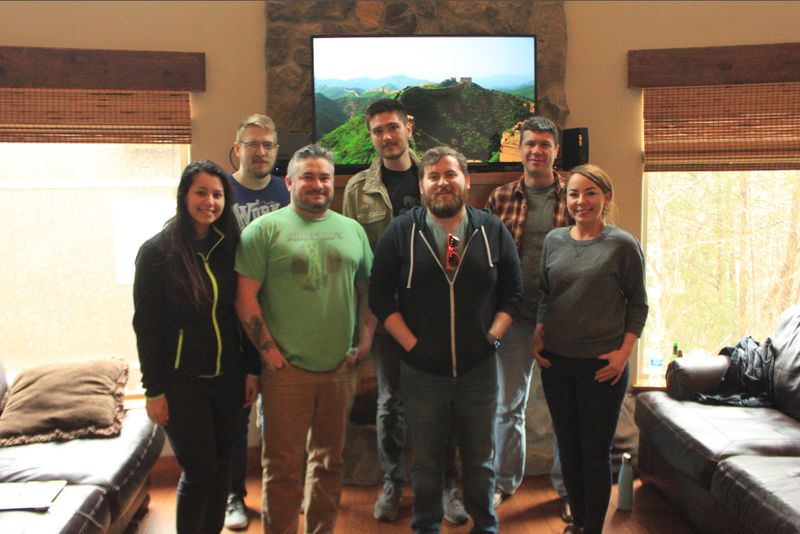 Lofty Labs recently held its first company retreat in Branson, Missouri, where we rented a large house nestled in the Ozark mountains. 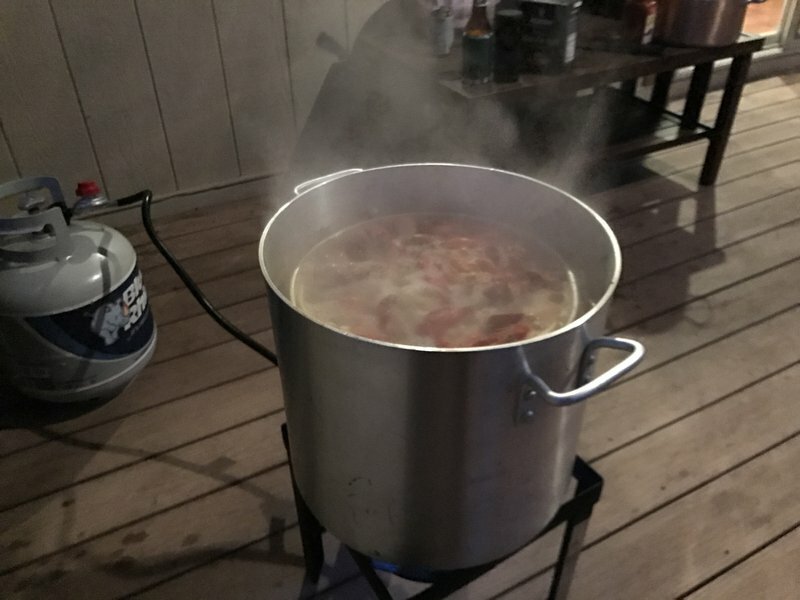 As a team, we wanted to celebrate our success, and spend some time away from the everyday hustle, to think about our company vision, and work on strategies for the future. 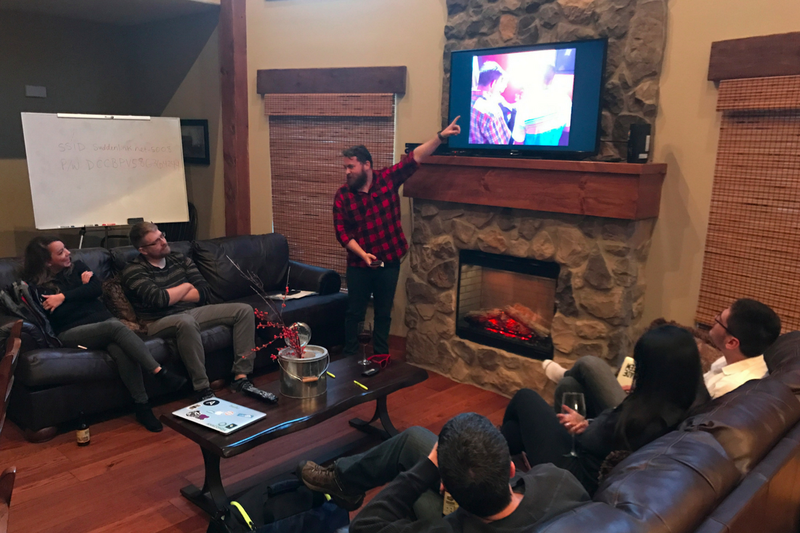 A retreat with coworkers can test the culture of a company, but for the Lofty Labs team, it felt more like a family reunion than a company event. 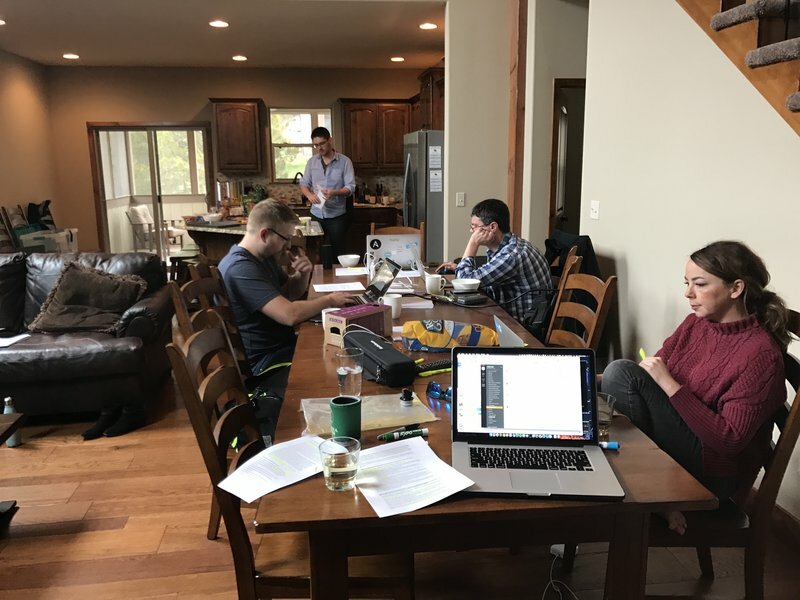 We already spend time with each other out of the office, but the benefit of going on a retreat is that it encourages rewarding conversations and collaboration in a new, relaxing environment. 3-4pm Purchase groceries for stay. Nearest Walmart is 16 minutes north in Branson. We learned about the difference between inbound and outbound marketing, how content plays a pivotal role in attracting new clients and reducing churn, and how it operates alongside other marketing initiatives. A frank discussion with the team led to the surprising discovery that we are all on the same page in terms of company culture, who we are today, who we want to be in the future, and some of the methods we need to implement to get there. The company mission "Be Better, Do better" was born as we thought about what we do differently to our competitors, and what we want to deliver to our clients every single day. We worked through our strengths, weakness, opportunities and threats as a company, and how we can use that information to improve our position as a software development and consultancy in the United States and beyond. 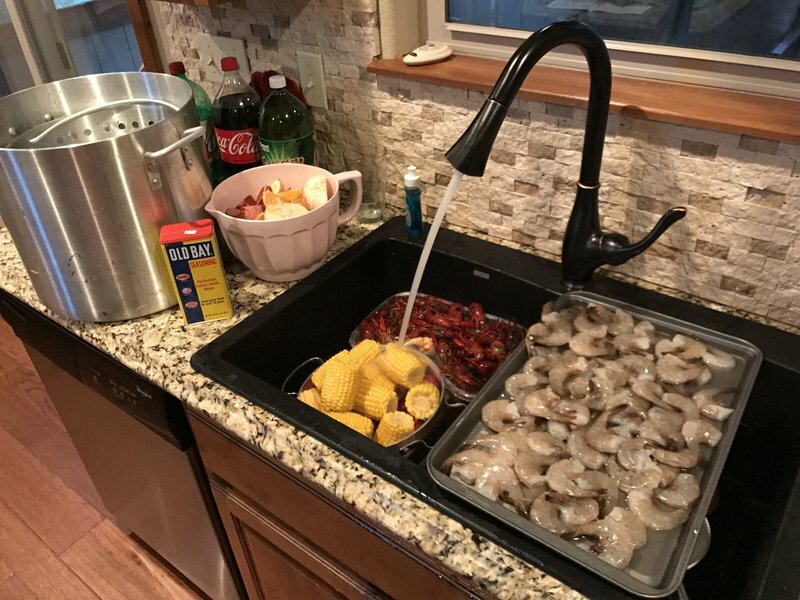 Addam pulled together an incredible crab boil that cooked well despite it boiling the pot in below freezing temperatures. 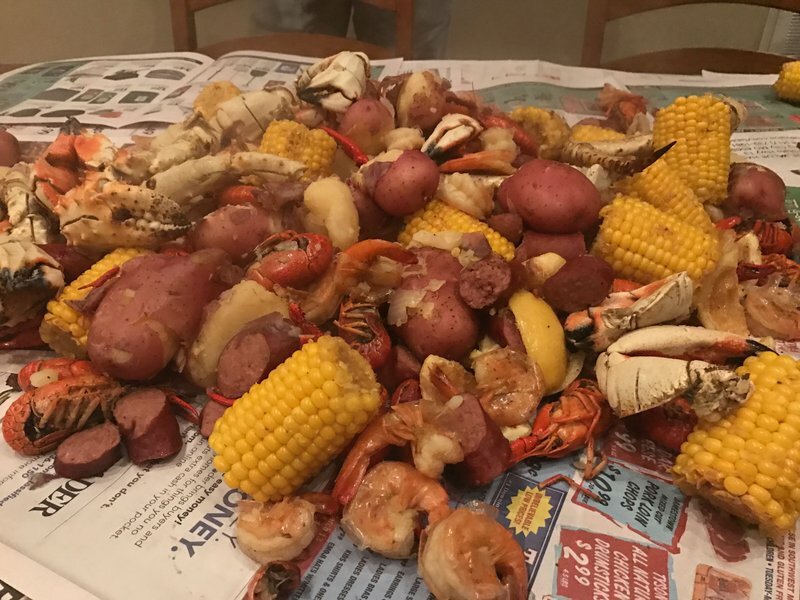 Warning: These photos are likely to cause hunger pains. Client Services plays a vital role in the day-to-day operations of Lofty Labs. Rikki presented her strategy for staying on top of client deadlines, keeping clients happy throughout their relationship with us, and what we can do in the future to improve relationships. She also had the team take the 16Personalities test, and analyzed the similarities and differences we have as individuals within the team. It was very enlightening to hear why we do the things we do, and how we can use our unique personalities to help the business, and each other, grow. 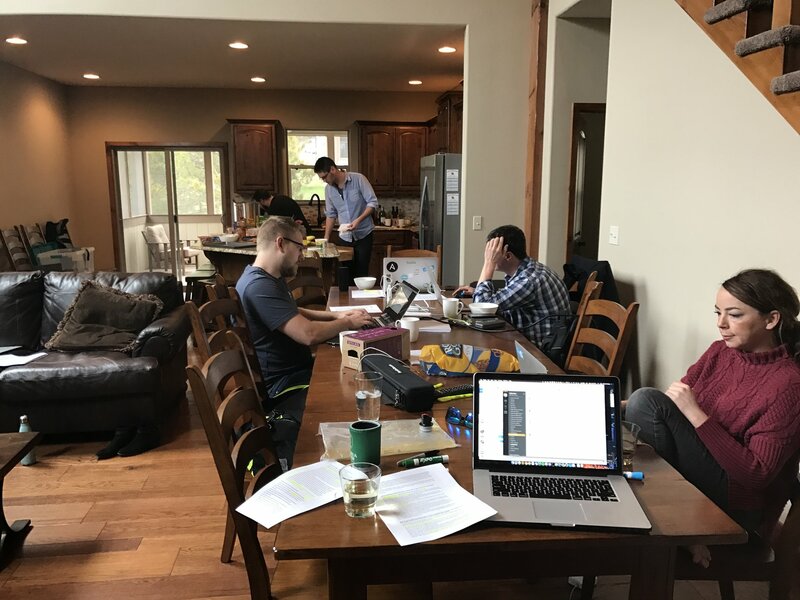 Could you be part of our 2018 Lofty Labs Company Retreat? We're not actively hiring for any positions but we're always on the lookout for talented self-starting individuals. Follow our company social media accounts for news and updates.